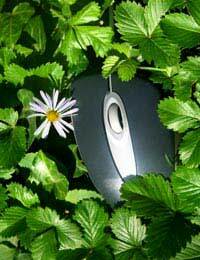 The first stage in making your office a greener place to work is to first assess how green it is at present. UK residents are more adept these days at keeping a more environmentally friendly home, but many leave any good intentions by the door upon arriving at their place of employment. With businesses producing 40% of the UK’s carbon emissions, in comparison to 27% for households, it is time for employees to start getting involved in making their office a more sustainable environment too. Unlike with a factory, for example, it is easy for office workers to take steps to make their workplace more environmentally friendly. However, whereas a factory can improve energy efficiency as a result of broad measures adopted by management, energy saving in the office is much more dependent on its employees taking action. By conducting an assessment of the green status of your office space you can get a good idea of what areas are environmentally inefficient and demand attention. How can you reduce your carbon footprint by cutting down on wasteful energy costs? How can you reduce your resource consumption? Which products can be replaced with more environmentally friendly alternatives? A large proportion of poor office practice occurs on a surface level – without needing any major policy overhaul - and so can be resolved quickly and cheaply. A good way to begin assessing your workplace is to undertake a walk-round survey. This is an environmental audit that involves touring all areas of the office site carefully making note of any inefficiencies such as wastage of heating, electricity and water, building fabric defects and inappropriate disposal of rubbish. Prior to conducting the walk-round, it is very useful to compile a checklist of all potential problems so that you know what to look out for and what not to forget. The main points of interest on an initial walk-round are usually aspects that may seem innocuous but are in fact damaging, such as leaving computers on standby overnight, setting the thermostat too high or leaving lights on unnecessarily. This initial stage of data gathering is critical to the overall success of any long term environmental policy and so it is important to be rigorous. Every employee should be encourage to get involved from the start, because each of their ideas about where the office is lacking and what can be done are useful in drawing up a comprehensive action plan. The action plan will provide details of which areas of the office are environmentally unsound and why, and then offer realistic green solutions, such as educating staff about environmentally friendly workplace habits or moving over to organic products or solar energy. To help ease the operation, the website of Carbon Trust - a government funded company set up to help organisations cut their emissions - offers an Action Plan tool that can give you some key pointers. Simply by entering your business sector and energy bill size, the facility will provide a selection of the most appropriate energy saving actions. These can then be used as part of your action plan. If your company’s annual energy bill regularly scales the £50,000 mark then the Carbon Trust can provide a free carbon survey. An expert consultant will visit your site to calculate its carbon emissions and offer advice on how energy can be saved with either immediate low cost solutions or more long term measures. Carbon Trust claims it has already helped thousands of companies save up to 20% off their energy bills. Also, regardless of how big or small your energy bills, the Carbon Trust offer organisations free telephone advice on any aspect of office energy saving, whether it’s requests for information or technical queries about specific environmental products and technologies. But how green is green? How can you ascertain what is an appropriate energy bill for an efficient office? Various tools are available online that enable you compare your current energy use with that of similarly sized organisations from the same sector. These allow you to see whether you are an environmentally friendly office or one that is dragging behind the rest of the field. ACTIONenergy offers a free online tool for comparing energy use in an office building with that of similar UK office site. The tool is split up into two parts. The first calculates a basic benchmark using office space and the number of workstations and employees. The second is more specialised, allowing users to tailor the benchmark to a variety of office factors, such as working hours, catering, vending machines and IT equipment.